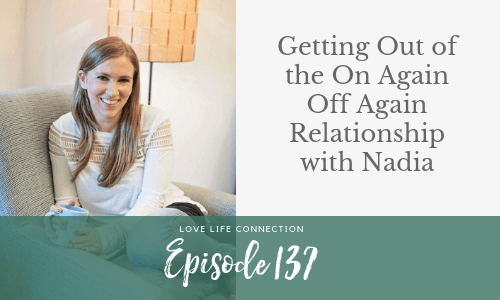 My caller Nadia is calling in because she’s been in an on again off again relationship for the past 7 years that she wants to get out of for good. But then… loneliness hits, something happens at work, and you need some good old fashion comfort and something that feels familiar. Your head is saying “no no no,” but your heart is saying, “Ohhh but I need him! This time will be different! In relationships like this, rarely is willpower or “snapping out of it” going to work.